I've been working on this second flower for a few weeks now. 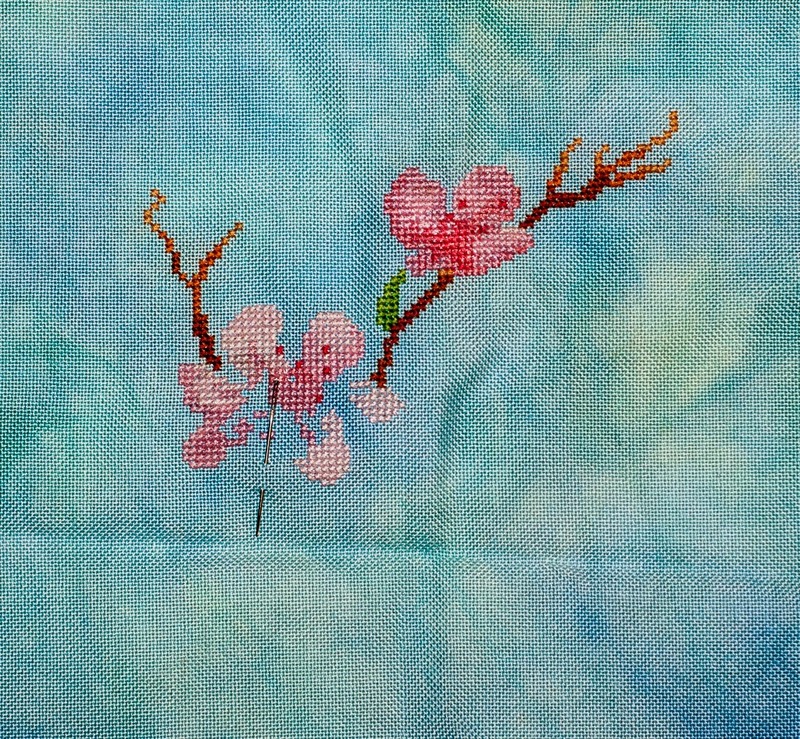 It seems every time I work on it, this flower sprouts more stitches. It's comin along! Love those pinks against that fabric, just gorgeous! !